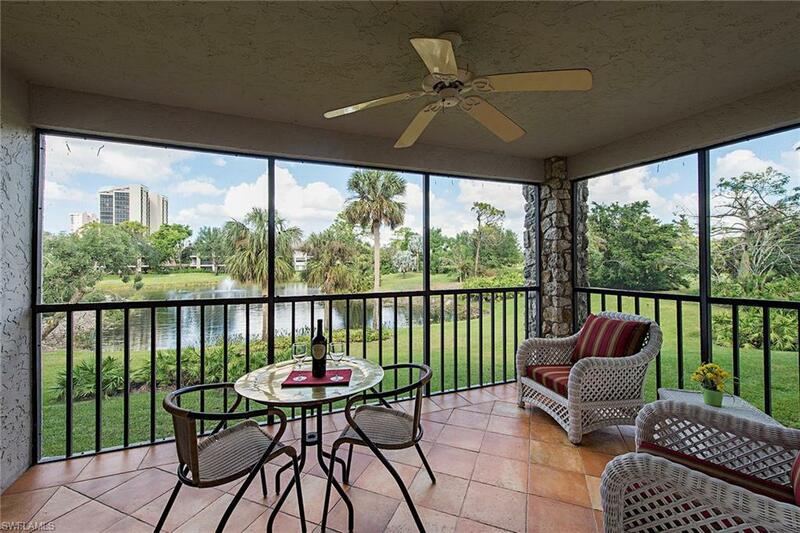 The Sanctuary located in Pelican Bay is a private beachfront and golf community. 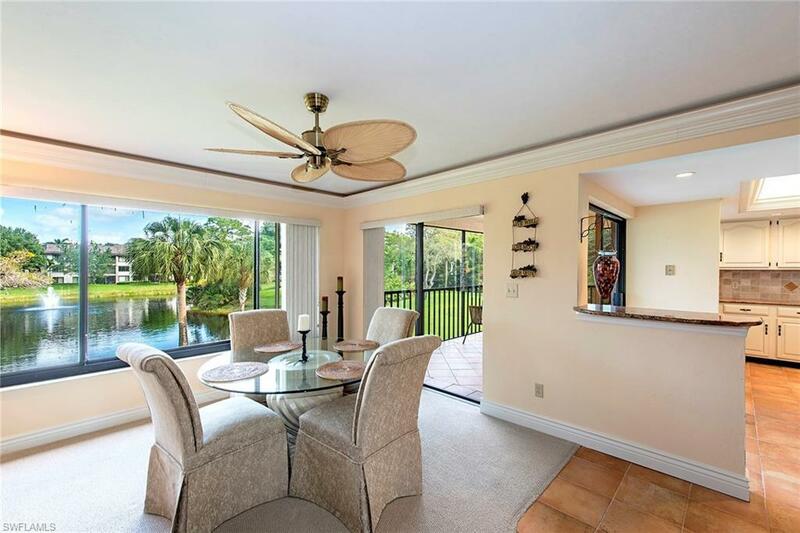 Enjoy picturesque views overlooking the lake and fountain from this second-floor spacious, bright and open floor plan with two master suites. 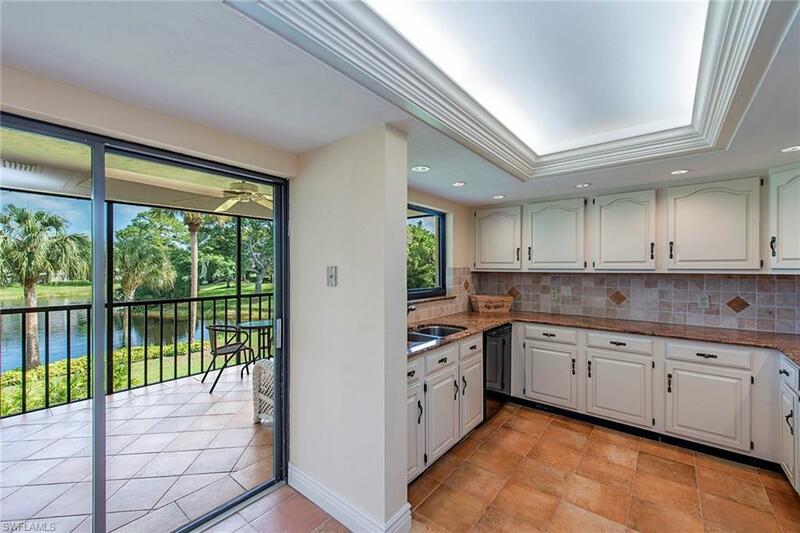 The kitchen has been updated with top-of-the-line Frigidaire appliances, granite countertops, cabinetry and lighted tray ceiling. The living room has crown molding with 6-inch baseboards, wet bar and large windows with unobstructed views of the lake. 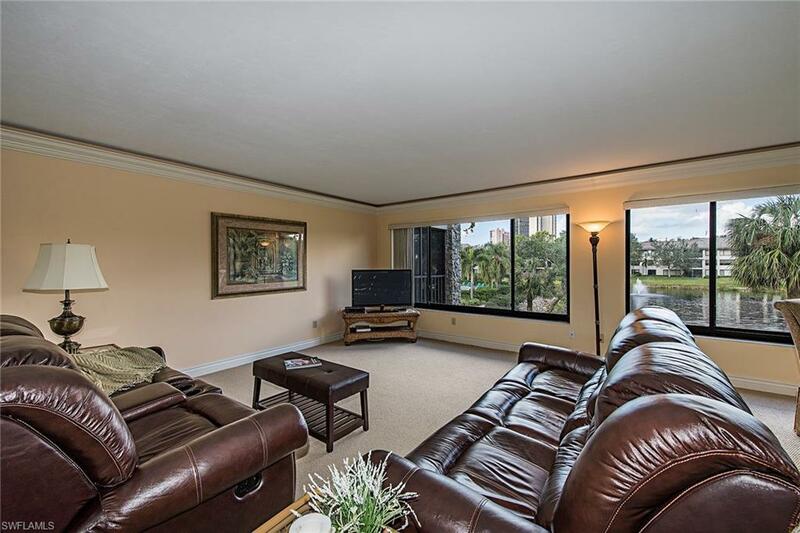 Enjoy a peaceful and private setting of lake and golf course view on screen lanai. Air conditioner and water heater in 2015. There is extra storage outside your door. Covered parking, elevator to second floor. The property is situated within a short distance to Pelican Bay Foundation, tennis, beach trams and restaurants on the beach. A state-of-the-art fitness center, community center, tennis. Walk, bike or take a short drive to Waterside Shops and Artis-Naples. Great rental history. Amazing Sunsets. Location is the key to your paradise. Seller providing home warranty for buyer.